The newest cruise vessel from Aqua Expeditions, the Aqua Mekong, is a sophisticated boat with a modern design, featuring 20 luxury cabins, refined lounging and dining areas, a screening room, a full spa, a shaded plunge pool and an observation deck. The service is of five-star quality, with the dining experience provided by one of the most acclaimed chefs in Asia. 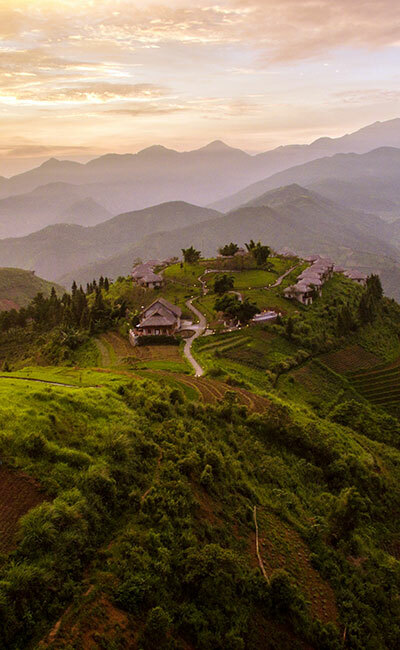 Aqua Mekong provides 3, 4 and 7-night itineraries, with on and off shore excursions, from flooded forests to bamboo stilt villages accessible only by boat, to Chinese wing tipped pagoda temples and remote Buddhist monasteries of both Vietnam and Cambodia. On your arrival at Ho Chi Minh City airport, you will be picked up by your driver and taken to your hotel. After check-in, set out on a city tour of the former capital of French Indochina, once known as Saigon but now officially named Ho Chi Minh City. Historic landmarks include the Old Saigon post office, Notre Dame Cathedral, and the ethnic Chinese district of Cho Lon and Thien Hau Pagoda. In the morning, you will be picked up by your driver and taken to My Tho pier, where you will board the Aqua Mekong. After the safety drill and briefing on the observation deck with the cruise director, you will learn from your expert guides about your Mekong adventures ahead. Settle into your elegantly appointed, river-facing suite as the vessel starts to cruise and thus will begin one of your life’s most memorable and photogenic adventures. Ascend to the Observation Deck if you wish to take in the view of the swaying palms and bustling waterways of My Tho. For a few hours, the Aqua Mekong will sail from here along one of the world’s great rivers, the Mekong, towards remote natural and cultural locations visited by only a few. People of the Mekong Delta rely on flat-bottom wooden boats called sampan to get around and transport goods to market. You will climb aboard one to paddle through Cai Be floating market. You will continue the exploration of this area on foot or by bicycle for more up close glimpses of Mekong Delta dwellers. Begin the afternoon excursion by skiffs to Binh Thanh Island, where the villagers weave mats and baskets from Mekong river reeds and water hyacinths. At the village’s simple temple, you will meet with village elders to learn about their life before, during and after the war. On your return skiff journey, you will stop by one of the local fish farms to learn how these farmers fish directly underneath their floating home. You will be back on the Aqua Mekong for dinner and the night. 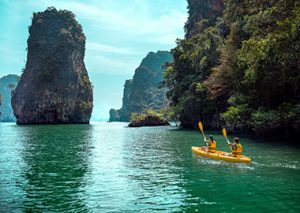 You will leave the Aqua Mekong in the morning to head by skiff to Tam Nong – the largest bird sanctuary of South Vietnam (7,300 hectares). This protected national park is home to 233 waterfowl species and accounts for one fourth of the country’s bird populations. 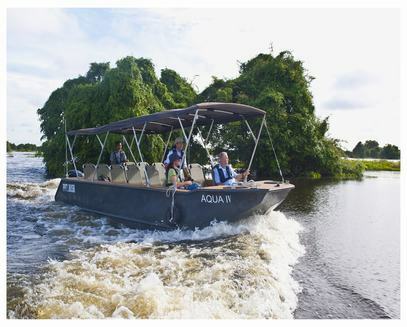 By skiff you will cruise through lush cajuput forest, looking out for rare white-winged wild ducks, painted storks, lesser adjutants, spot-billed pelicans and sarus cranes – the largest among the crane species. 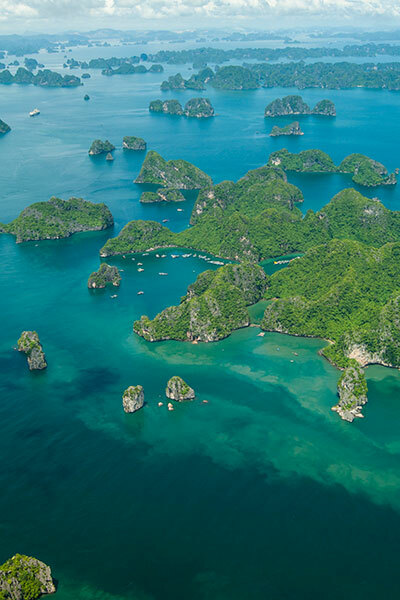 Back on the boat, relax by the pool with a Mekong Colada or Aqua Pisco Sour, try a Traditional Khmer Massage in your floating spa or learn more about Vietnam from your expert guide’s lecture in the air conditioned lounge while border crossing formalities are completed. You will begin your Cambodia adventures with a visit to Koh Oknha Tey – a beautiful island on the Mekong. There you will explore by tuk-tuk, heading to one of the villages where renowned weavers will invite you to wander freely among their looms, admiring their skills as they work at this art form. Witness the entire process, learn how silk starts with the worms, see silk thread being looped and dyed, then admire and purchase, if you wish, the final shimmering Khmer silk accessories. A biking option will also be available for those who wish to explore deeper into the island. In the afternoon, you will cruise further north along the Mekong towards the remote village of Preah Prosop. Here, as you will walk through this typical Khmer village of stilt houses, you will see and experience authentic Cambodian village life untouched by the outside world. Stop along the way as you wish to interact with local families and to speak with students on their way home from school. You will also pass a local brick factory before reaching one of the oldest Buddhist temples of this area. More sportive explorers may opt to venture around Preah Prosop by bike. Shifting gears from the sleepy countryside to this country’s political and economic capital, you will sail into Phnom Penh where art deco buildings still stand in the shadows of ever-rising skyscrapers and vintage cyclos travel alongside imported European sports cars. 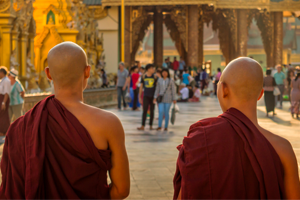 Buddhist temples, French colonial villas and the Royal Palace provide photogenic backdrops to international business and a new generation of boutique hotels, chic shopping and cosmopolitan nightlife. This day’s urban adventure by two-wheel motorized tuk-tuk will take place in this historic city’s most important sites including the 1866 Royal Palace that is still home to the reigning monarch and its Silver Pagoda, the royal compound’s most famous attraction. Just next door, the National Museum of Cambodia houses the world’s largest collection of Khmer art, much of it removed from Angkor Wat to prevent looting. 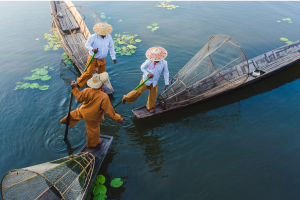 You will return to the Aqua Mekong to pack up and disembark, and meet your driver to travel to your hotel. 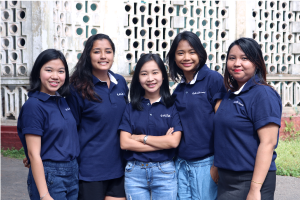 Option: If you are interested in going deeper into Cambodia’s recent past, you will visit Tuol Sleng, the Genocide Museum, an old secondary school that was transformed into a detention center under the Khmer Rouge regime. You will meet your driver and travel to the airport for your flight to Siem Reap. Upon arrival you will be welcomed by your guide and taken to the hotel or proceed directly to the temples. Become immersed in a spiritual environment where you will learn and practice the original sacred dance of the Angkor period. During this private activity, you will be able to admire and participate with the students in a part of the meditation and the dance. The school is located in a beautiful position in the middle of three sacred areas – the Banteay Srey temple, the Kbal Spean mountain and Phnom Dei mountain. There, students learn the real discipline it takes to perform the ancient Khmer traditional dance, with a lot of dedication and connection to the religion. Then it will be time to discover the wonderful Angkor Wat temple, a part of World Heritage, built in the first half of the 12th century and dedicated to Vishnu. It is the largest and undoubtedly the most breathtaking monument of the Angkor complex, truly an architectural masterpiece. In the evening your driver will pick you up to visit a local restaurant in town, to enjoy a dinner and Khmer dance show. You will be picked up at your hotel and head out to Siem Reap International Airport where the helipad is located. Upon arrival, meet and greet with your English speaking pilot, and after a short presentation and security brief you will start your discovery of Angkor with a scenic helicopter flight over the archeological site and the country side. The size and beauty of the temples view from the sky is just amazing. During the flight you will see the Angkor Complex and fly over Chong Kneas floating village, located on the Tonle Sap. Enjoy time at leisure until your departure to the airport for your departure flight.